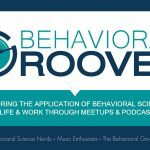 3 Tips for Surviving Project Withdrawal Syndrome – Behavior Matters! Great Motivational Gift Ideas for Your Colleagues or Yourself! Thank you for your comment on the article, we greatly appreciate hearing from you. Wishing you a fantastic day!